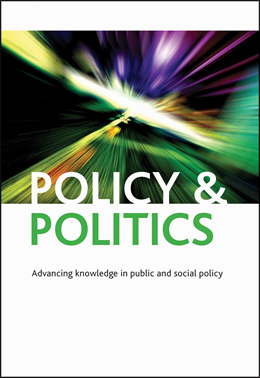 Policy & Politics prides itself on publishing scholarship that is read widely within and beyond academe. We are committed to supporting authors to maximise impact of their work in terms of on-line and off-line dissemination. As part of the current strategy for Policy & Politics we are aiming to increase the quality of our on-line presence and invite all authors to contribute a blog post on the articles they publish in the journal. We therefore invite you to write a short piece on your article of between 300 and 800 words. The idea is that this will be an accessible way in to your work for a range of audiences. As such we do not want authors to simply repeat or expand upon the abstracts of their articles – these are available anyway. Rather, we encourage you to think more broadly, imaginatively, or more simply more straightforwardly about the purpose of your work and why people should read it. Blog posts could range from a summary of what your article is about and why it matters, to a more sustained contribution that links into current policy debates or newsworthy issues in an informed way. You could use a blog post to expose a line of work that you have been involved in for some time, or use it as an avenue to highlight the results from a particular research project. In any case, we would like to give you a reasonably free hand in the content of the blog post, provided that it in some way supports your article and the journal – hence the wide word limit. The blog posts won’t be refereed, but will be read prior to publication by the blog editor who may suggest changes. Importantly, we don’t want this to be burdensome to authors and don’t anticipate a long round of iterations. Nor do we anticipate authors taking a long time agonising over the content of their posts – we want this to be punchy and to the point. We will push the blog through use of other social media, such as twitter and facebook, and will link back to the original article. Please give us your twitter handle so we can use that too. We would also like to use photos of authors which we can normally take from institutional websites, though of course you can supply photos as well. You are also free to submit diagrams, photos etc. as part of your post, and we can even add audio or video files. You are of course free to re-use your post on other blogs. Your contribution will form part of a number of posts on the Policy & Politics blog. These will include other posts on published articles, posts on our annual lecture, material from our annual conference, and other invited posts. Writing a blog is quite different from writing a journal article. People tend to read blogs on the move, either on their tablet or phone, and so they are often time-limited. Here are a few suggestions to help you get started and write a great piece. Remember these are only suggestions though – feel free to experiment and do things differently if you think that works. Often the last thing you think about, but the most important part of your blog post! 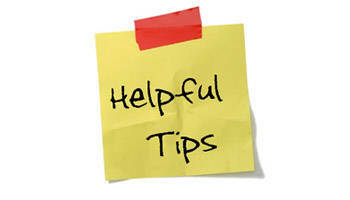 Try to keep it under 10 words long, and make it engaging, either by posing a question or making a statement. Don’t be too abstract – you want people to know what it’s about, so make sure you use words and language that most people, even if they’re not subject experts, will understand. Blog posts are often read quite quickly and at a time when the reader is multitasking (for example on the commute to work, or whilst eating lunch at their desk). As such you want to try to use a conversationalist tone – type your posts as you would say them out loud. Use questions, feel free to give your opinion, and invite comments back. If you’re worried about how long your post should be – the golden rule is less is more! Unlike a journal article, a blog post can start with a statement or decision then have an explanation later. Get to the point straight away and then back up your argument. It will get people interested in what you have to say – you have to grab their attention quickly. For the same reasons as above, make your content concise and clear. Long sentences are a no-no, and paragraphs should also be kept short. We’re very used to writing text in academic circles, but here you can be creative! Feel free to use graphs, pictures and videos to provide a different view and break up your text. Remember though – if you didn’t create them you’ll need permission from the owner to re-use them. Some contexts are tough to comprehend, so don’t be afraid to use examples and refer to current events to back up your arguments. Give people a way to contact you and find out more about your work. Include a short statement about yourself at the end of your blog, with a link to your institutional homepage and twitter profile (if you have them).